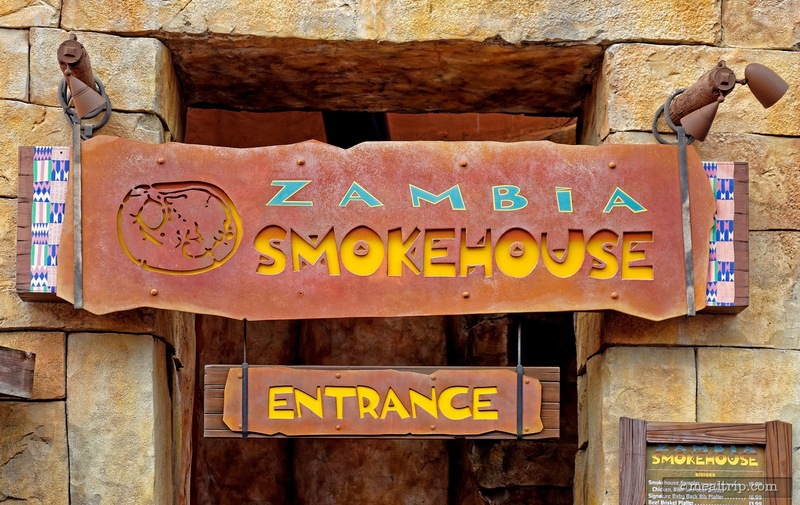 The Zambia Smokehouse is located in the Stanleyville area of Busch Gardens, and is one of the more themed and immersive dining locations in the park. 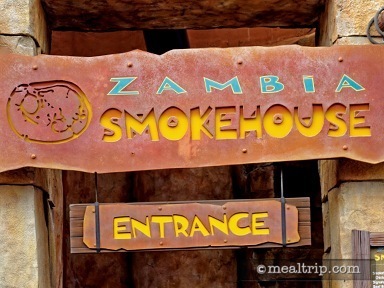 The interior seating, food ordering and pickup area seems purpose-built and contains many wood, stone and earth-tone plaster effects that may remind one of Zambia. The outdoor seating, is not quite as detailed, offering much of the same umbrella covered table seating that can be found throughout the park. Food-wise, this is also a location where you just might find something different than at all the other locations in the park. 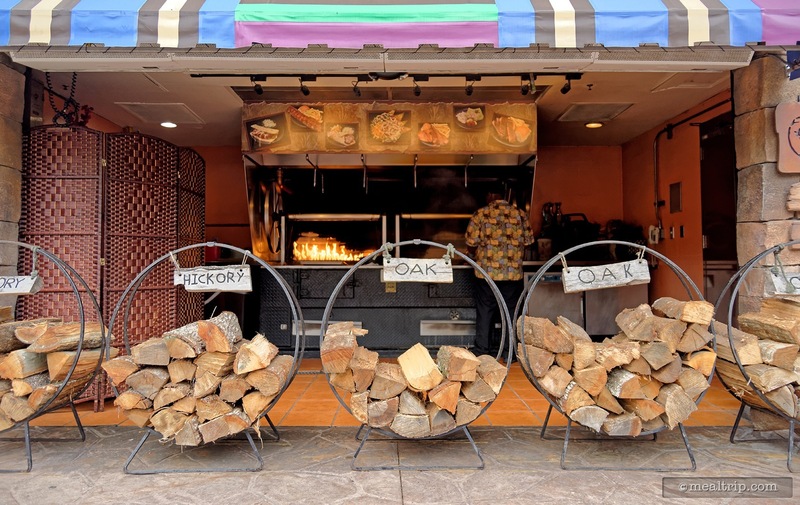 Much of the food here is open grilled on-site using oak wood. While not offering much for vegetarians, you will find lots of smoked meats here. 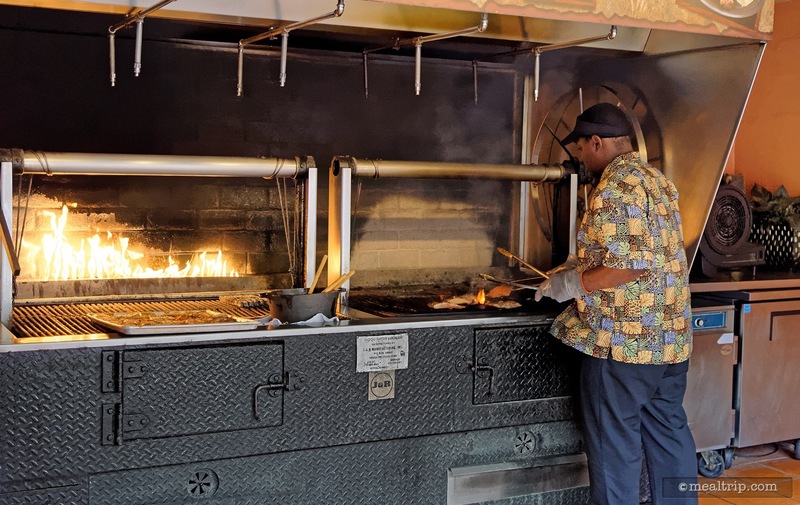 From the often smoked chicken, ribs, and beef brisket, to some surprising and healthy options such as a smoked turkey sandwich and a grilled salmon, there seems to be quite a few things on the menu that you can not find elsewhere at Busch Gardens. A couple of notable side-dish options include corn on the cob, and smokehouse baked beans. Along with some of the standard issue desserts, such as cheesecake and a spice carrot cake, a hot apple cobbler and warm bread pudding are also available. CLICK HERE to view all 3 images in our photo gallery.